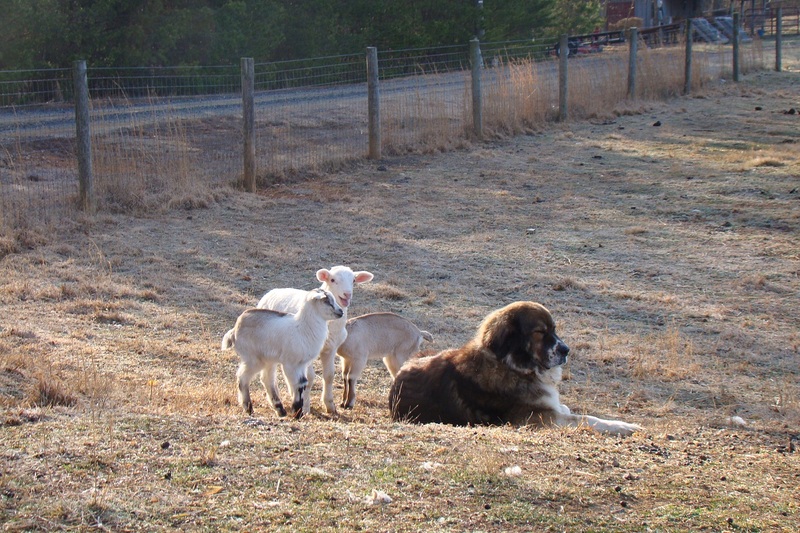 Lambs and kids gravitate to Milos, these three little girls like to be near him. They seem to know he’s their protector even though we’ve got such good fences that nothing harmful has never gotten in, thankfully. That is quite possibly the sweetest picture I’ve ever seen, Connie. How sweet.